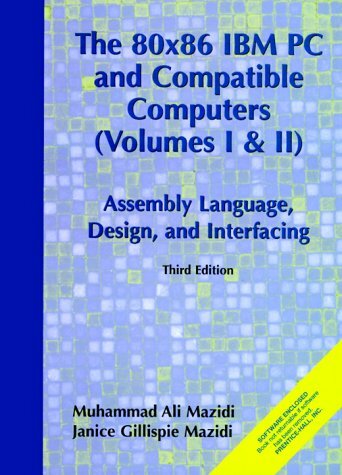 Praised by experts for its clarity and topical breadth, this visually appealing, one-stop source on PCs uses an easy-to-understand, step-by-step approach to teaching the fundamentals of 80x86 assembly language programming and PC architecture. It uses the Debug utility to show what action the instruction performs, then provides a sample program to show its application. Covers all of the x86 microprocessors, from the 8088 to the Pentium Pro. Combines assembly and C programming early on. Introduces the x86 instructions with examples of how they are used, and covers 8-bit, 16-bit, and 32-bit programming of x86 microprocessors. For anyone interested in computers and the 80x86 computer family.